HIIT can be considered a great success story, and both Aalto University and University of Helsinki see HIIT as a strategically important activity: the two rectors signed last October an updated contract establishing the status of HIIT for the future, and HIIT is also highlighted in the recently signed strategic partnership agreement concerning Aalto and University of Helsinki collaboration on a more general level. However, we can of course ask ourselves whether we can do even better, is there a way to organize HIIT in such a way that it supports HIIT's mission even more efficiently? Results from the HIIT wide focus area research on user modeling in exploratory search will be published in the IUI'16 conference this year. The Regulations of HIIT (Ohjesääntö), detailing the status of HIIT as a joint unit of Aalto University and University of Helsinki, have been renewed. The new version includes minor changes in the composition and duties of the Board. Also, the intellectual property rights (IPR) are no longer jointly owned by the two universities, but instead the ownership depends on where the IP was created. Most importantly, HIIT's role in conducting top-level research and joining the expertise of the two universities stays intact. 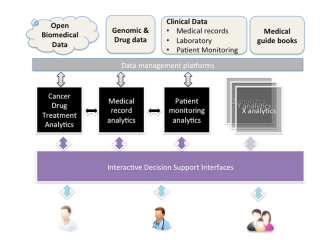 D4Health-project tries to figure out how already existing data masses could be utilized efficiently in the treatment of different diseases. The D4Health – Data-Driven Decision Support for Digital Health Care project is funded by the Academy of Finland. 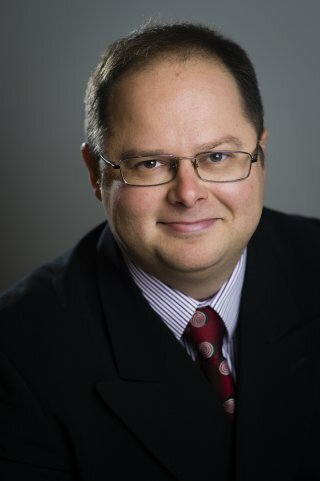 Andrei Gurtov was appointed as IEEE Communications Society Distinguished Lecturer for 2016-17 and Vice-chair of IEEE Finland Section. Helsingin Sanomat predicted eight science stories for the year 2016. These included the usual suspects of the Hyperloop, the cousine of the Higgs boson and the Rosetta mission. It also included a highlight about big data and computational methods entering the social sciences, promoting two works HIIT is involved: the Digivaalit 2015 and the Digital Humanities of Public Policy Making. 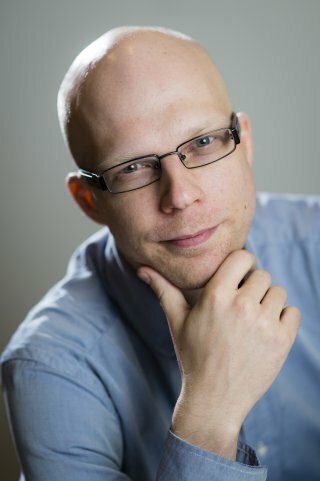 The post of Head of the Department of Computer Science at the University of Helsinki has become vacant since Professor Jukka Paakki announced that he will retire from the post on 1 January 2016. After receiving the preparation committee’s proposition, the dean of the Faculty of Science decided to propose to the rector that Professor Sasu Tarkoma be appointed the head of the Department of Computer Science from 1 January for the rest of the present period. Jorma Ollila fund, launched year 2014, has been created in Nokia Foundation to support recently graduated doctors to further develop their research career. The personal grants are awarded for gaining international experience for a period of 1-3 years. In addition to financial support, the new fund and Nokia Foundation will support the selected applicants through its contact network. 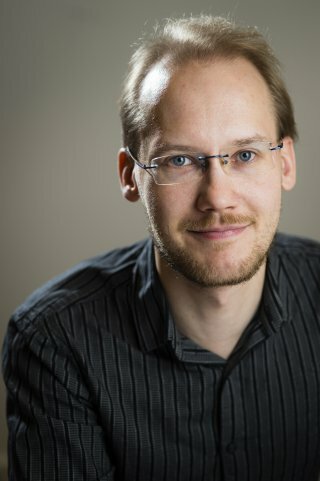 ACM is the main professional organization in computer science, and this prestigious award is given first time to Aalto University researchers. In selecting 49 computing leaders as 2015 ACM Distinguished Members, the Association for Computing Machinery (ACM), the world’s leading association of computing professionals, is highlighting how the work of these innovators is changing the world. 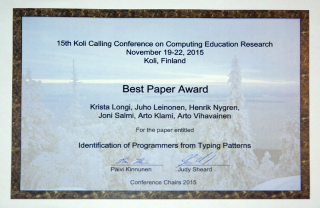 Agile Education Research Group (RAGE) along with Arto Klami was awarded the best paper award at the 15th Koli Calling Conference on Computing Education Research (ACM).